PlantTalk:Pack is a comprehensive pack-off system. 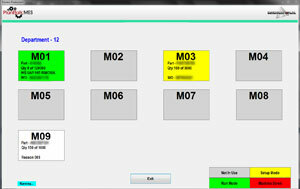 It supports the automated pack list printing based on standard packs. 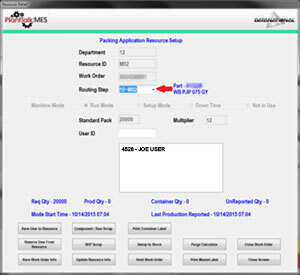 It also provides the validation of the unpack/repack process. Our system is scan-enabled to support packing of the parts into the final shipping containers to ensure that the correct part and quantity is being packed. The system provides the ability to allow containers to be configured as needed (by customer, by load) to ensure the flexibility of the container loading process, while still providing the full scan validation of the finished load. Our system is scan-enabled to support packing of the parts into the final shipping containers to ensure that the correct part and quantity is being packed. The system provides the ability to allow containers to be configured as needed (by customer, by load) to ensure the flexibility of the container loading process, while still providing the full scan validation of the finished load. As an optional add-on function to PlantTalk:Pack, we can also implement on-demand labeling to print barcoded serialized part labels. These can be triggered via a PLC interface, touch screen interface or a scanner trigger. Once the parts are uniquely labeled, they would then be scanned into your containers. The packing application provides the required validation that only a single part can be packed/scanned into a single container. When the rack is full, the operator scans all of the parts that are in the rack. 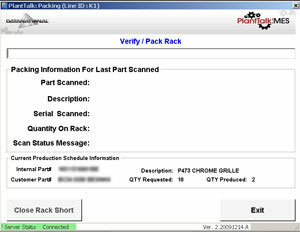 If all are the same part number, and the standard pack quantity is met, the proper shipping rack label will automatically print from your ERP, based on the part setup information in the application and the file upload. Datanational’s PlantTalk:Pack software is tailorable to deliver on the automated finished goods container labeling and timely production reporting into your ERP based on the direct triggers from the PLCs from the production machines. If an output file receipt from the PLC is not feasible, for the PLC communications with an applicable machine, we will define the scope and the software tools & hardware required to establish the communications. This application setup function can also be performed ahead of the production setup phase, and then the supervisor switches to Run mode once the setup testing has been completed. Once the Run mode has been activated, the PLC interface will be turned on, collecting the production triggers from the resource. 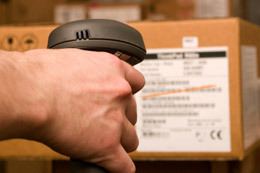 The PlantTalk application will send a record to the ERP system to record production for the scanned part, using the data queues to send data records to the ERP System’s production reporting program (s)We will also populate the appropriate traceability field(s) in the ERP system with the collected data string, if applicable. Upon reaching the standard pack value for the part, a specific ERP event code will be used to trigger the generation of a container label from the ERP system. The screen to the left is displayed when the program starts. The display shows the Resources for the Department. The screen shows the resources status by color to make it easy to determine the status of the resources at a glance.